Could Iraqi Parliament Recognition of Shiite Militias re-Tribalize the Sunnis? Although many Sunni politicians tried to block the passage of a November law that legitimized Iraq’s Shiite volunteer militias, some did not. They want the 30,000 or so Sunni volunteer fighters to get their share too. In late November, the Iraqi government passed the controversial law that legitimises the country’s Shiite Muslim volunteer militias. The militias, formed by volunteers who chose to fight the extremist group known as the Islamic State, have been both critical to the success of the fight and controversial, accused of meting out revenge and carrying out extrajudicial killings, arrests and other punishments. The new law will see the militias get a regular salary from the Iraqi government, get similar benefits to those serving in the regular armed forces and be supervised by a new, special body. The session during which the law was passed by the Shiite Muslim majority government was boycotted by a number of Sunni Muslim MPs. And afterwards some of those said that the passing of the law reflected how the Shiite Muslim majority was acting like “a dictatorship”. These voices came from inside the Sunni-majority Iraqi National Forces Alliance and they objected to both the law and the way it was passed. They say that the timing could have been better – if the government waited until the extremist Islamic State, or IS, group had been completely pushed out of Iraq, then all relevant parties could have had their say. The Iraqi National Forces Alliance also objected to the law because it goes against the principle of having national security organisations made up of the different components of Iraqi society – for example, both Shiite and Sunni and also Kurdish. Although those seem like fairly good reasons for the Sunni-majority political bloc to reject the law, there are some other possible, less overt motivations for their arguments. For one thing, the Iraqi National Forces Alliance considers itself the only political representative of the country’s Sunni Muslims, who are generally estimated to make up around 40 percent of the total number of Muslims in the country (including Kurdish Sunnis). But the new law recognizes another representative group of Sunni Muslims: Those who volunteered to fight the IS group. 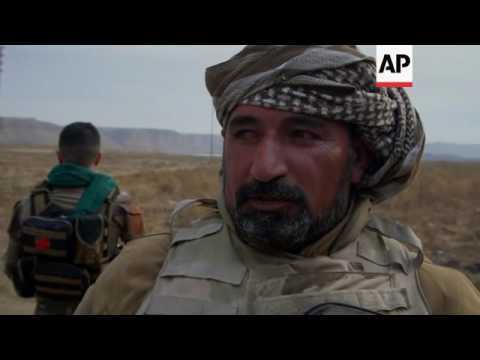 The Sunni volunteer militias tended to be tribal in nature, with their clans having come out against the IS group. Some of these joined the larger group of Shiite Muslim volunteer militias in the fighting. These Sunni Muslim volunteer militias would be able to introduce themselves the most genuine representatives of Iraq’s Sunnis. The militias law, which recognizes them as a legal entity, not just a volunteers, gives them even more legitimacy to compete in local elections. Which in turn would allow them to chip away at the Iraqi National Forces’ voting base. The Iraqi National Forces are not united in their rejection either. Some of their MPs actually voted in favour of the law; often these were MPs who never objected to the Sunni Muslim volunteer militias joining the much larger Shiite Muslim force in the first place. Official numbers now estimate that the total number of volunteers who had assembled to fight the IS group now number around 140,000. It is thought that about 30,000 of these are Sunni Muslims; the rest are Shiite Muslims. “A number of the Sunni MPs agreed with the law because they like the fact that it makes guarantees for the sons of the people who vote for them,” argues Haider al-Mawla, a Shiite Muslim politician. And it is clear why the Shiite Muslim-run National Alliance, which gathers together Shiite Muslim parties in Iraq’s Parliament and should not be confused with the Sunni-led National Forces Alliance, wanted the law passed. It has also made promises to those who voted for it and those whose male relatives may have volunteered for the Shiite Muslim militias, to fight the IS group. In doing so, the Shiite Muslim politicians have, in some ways, driven yet another wedge between themselves and their Sunni Muslim counterparts in politics. However it is also becoming clear that their losses in one area will be replaced by gains in another: In Iraq’s upcoming provincial elections, slated to be held in 2017, new and powerful parties with links to the tribal and volunteer militias will doubtless emerge – and they will owe a debt of gratitude to the current government for their ongoing existence.